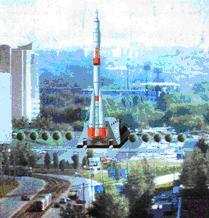 The visits to SRP RSC «TsSKB-Progress» and to aerospace museum of SSAU are offered for the participants. and to aerospace museum of the SSAU . The Workshop cultural programme offers guided tours of Samara and its suburbs, a boat trip along the Volga and visits to the city museums on weekends. will be organized during both the Workshop days and the weekends.